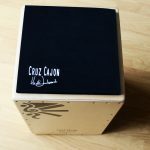 A new project ‘High on heels’ – Playing the cajon standing up! Tonight I play with a new project called High on Heels, an all girl group performing with a DJ over some remixed House tracks! 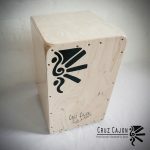 My first gig standing up, playing cajon on a stand, as well as congas, bongos, timbales, cymbals and minor percussions…. Suuuuper exciting! And high energy! We’ll be playing at Quaglino’s in Mayfair, London from 10pm tonight! Right, I’m getting back to rehearsing! Have a beautiful day peeps! Mwha!